Would you like to SAVE this puzzle? No Yes Alert: Saving worksheets is a feature available to our members. Please signup or login and you'll be able to save custom files. 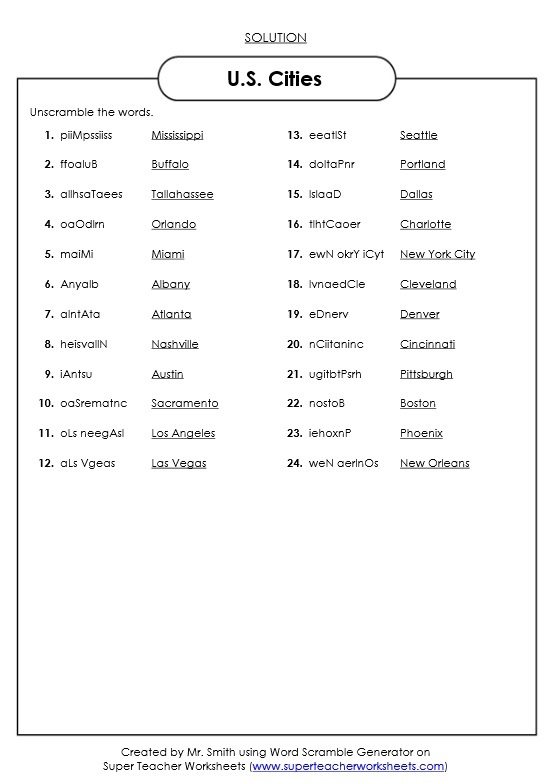 Below are two examples of beginner and intermediate Word Scrambles! 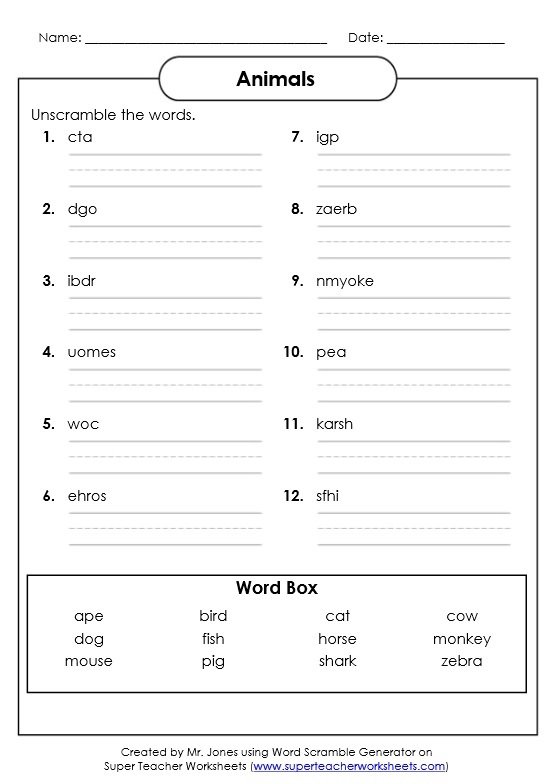 Beginner level worksheets give a longer, dotted line to allow students more space to write the word. 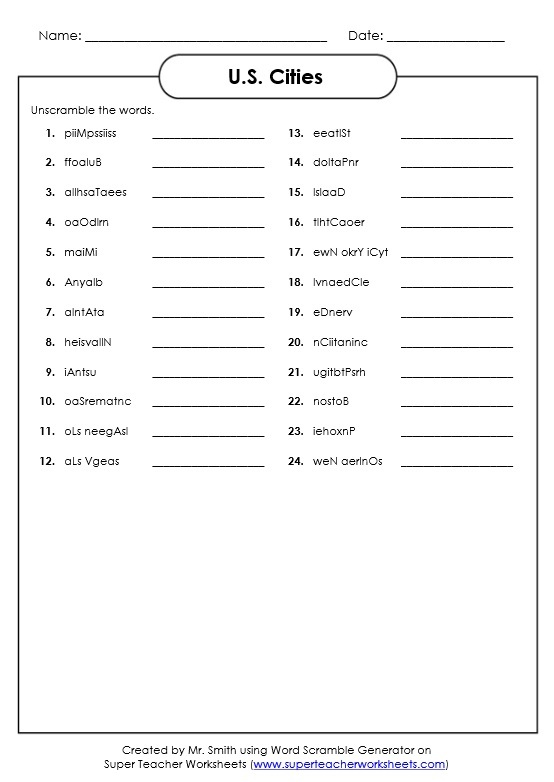 The intermediate option allows for more scrambled words on a page. Both levels allow a word box as a helper if you choose. 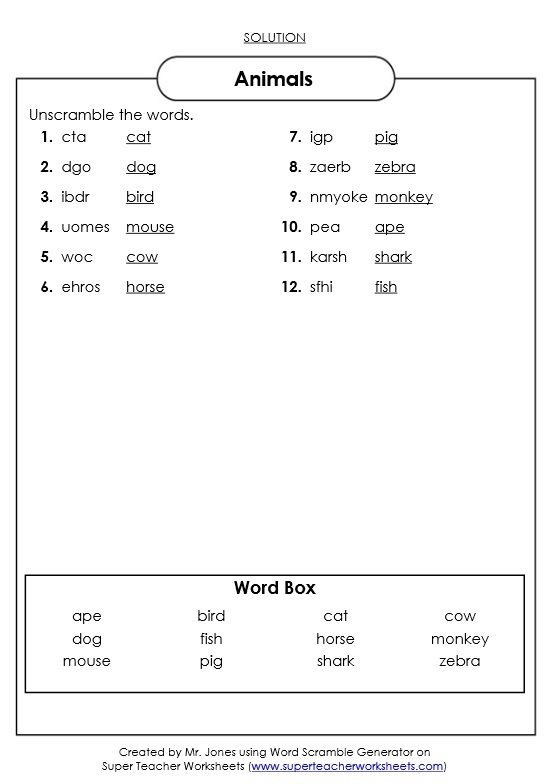 The Word Scramble Maker creates the puzzle page as well as a solution page.